He would have to find work to augment his income. He augmented his income by taking a second job. 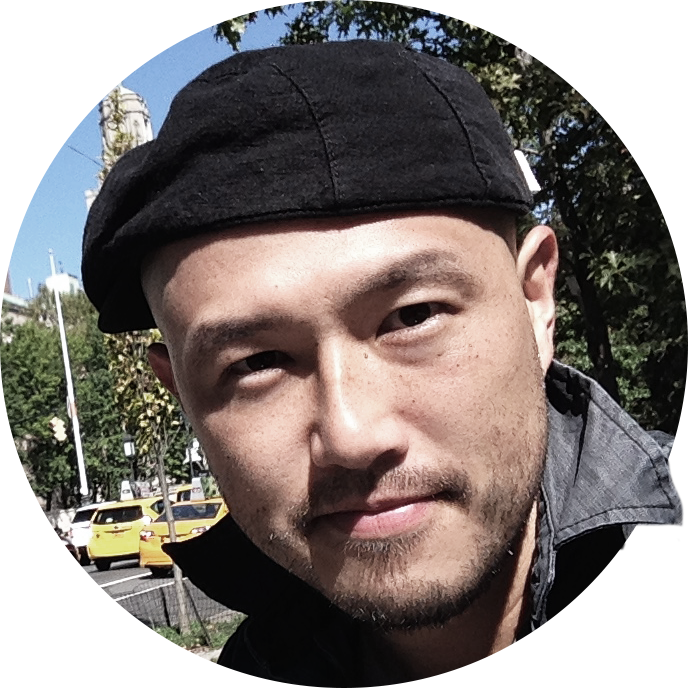 The team of editors was augmented by freelancers. 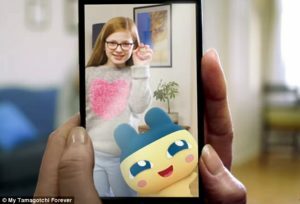 Just weeks after reviving the beloved 90s toy for a limited re-release, Bandai has revealed Tamagotchi is now coming to smartphones in what appears to be an augmented reality app. While it will mimic many aspects of the original game, from feeding the virtual pet to cleaning up after it, the new Tamagotchi app will also include a number of mini-games and special items that can be unlocked. He’s cleaning his beloved motorbike. Her beloved husband died last year. She was forced to leave her beloved Paris and return to Lyon. Which aspects of the job do you most enjoy? His illness affects almost every aspect of his life. Lighting is a vitally important aspect of filmmaking. The car has to look good, but without forgetting the safety aspect. This chapter will consider several important aspects of the teaching process. It isn’t the first app the company has released in efforts to keep Tamagotchi up to speed in the smartphone era. 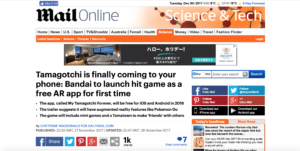 But, according to Bandai, it’s the first Tamagotchi app that’s free to play. The official trailer also suggests it may have AR features, following in the footsteps of games such as Pokemon Go. 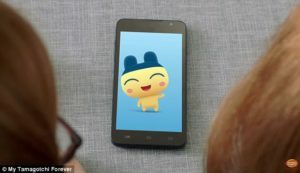 In the trailer, players can be seen interacting with the virtual pet, using the phone’s camera to create the appearance that it is actually in the room or posing for pictures. Players will have to feed their virtual pet and clean up after them in order to keep them happy and healthy. And, they’ll have to remember to turn off the lights so the character can get a good night’s sleep. Similar to the original handheld game, the characters will grow and evolve based on how well you take care of them. The game will also feature a virtual town filled with other characters, that you can become ‘friends’ with. It took me a while to get up to speed after the flu. We arranged for some home tutoring to get him up to speed with the other children in his class. Before we start the meeting I’m going to bring you up to speed with the latest developments. The board of directors will have to be brought up to speed on these new developments. She followed in her mother’s footsteps, starting her own business. She followed in her mother’s footsteps and became a doctor. Dominique’s teacher says that she interacts well with the other children. It’s interesting at parties to see how people interact socially. We are studying how these two chemicals interact. According to Bandai, the app will become available in the US in 2018. Users can also register now on the website for a chance to be selected for the inspiration for a new Tamagotchi character. In October, Bandai revealed the firm would be re-launching the egg-shaped toy in smaller form. The new 20th anniversary version is much smaller than the original, but the gameplay is much the same, albeit simpler in some ways. The toy is being released in six different shell designs, from pale orange and see-through blue to boldly contrasting two-tone schemes straight out of the 90s. 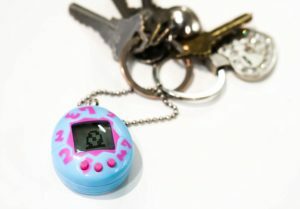 Each Tamagotchi will include six virtual pets. After hatching a digital creature, users must take care of it as it moves through the different stages of life. It officially hit the shelves on November 5, bringing it to popular retailers including Walmart, Target, and Toys R Us – but, the firm warned only a finite number would be available for the limited release. The band’s sound is straight out of the 60s. The birds hatched out the next afternoon. Mosquito larvae are hatching in the pond. Eleven chicks have been hatched since July. The new CD from Beck hit the shelves last week.